Mormon Wookiee: #35: Some MORE thoughts on General Conference. During the last couple of months on my way to work each morning I have been listening to General Conference talks in my car. 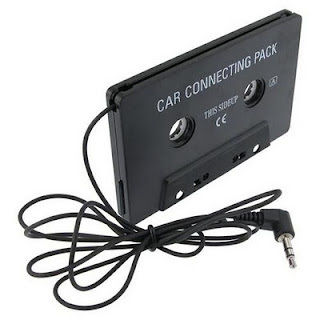 I downloaded the October 2011 talks to my iPhone, and I simply connect the phone to a tape deck adapter, which then plays the talks over my car stereo (the Buick Century doesn't have one of those fangle dangled CD player things). Listening to General Conference has been a great way to start the day off right. It's like the Conference speakers are right there in the car with me (although it does get a little cramped in the back seat). Listening in my car has been a great way to hear some of the talks that I tuned out the first time around. In my 3rd blog post "#3: Some Thoughts on General Conference" (http://www.mormonwookiee.com/2011/10/some-thoughts-on-general-conference.html), I shared my overall impression of Conference. As I mentioned, my favorite talk given at Conference was by Elder Ian S. Ardern titled "A Time to Prepare" (http://lds.org/general-conference/2011/10/a-time-to-prepare?lang=eng). Elder Ardern's talk is the reason that I started Mormon Wookiee (Thank you, Ian!). As I listened to his talk the first time, I realized that I was wasting too much of my free time, and I decided it was time to change. I haven't been perfect since then, but I have tried to do better. As I listened to Conference in the car, there were a bunch of other talks I enjoyed as well. Elder Ian S. Ardern, the inspiration behind Mormon Wookiee. The Saturday Afternoon session of General Conference was probably my favorite. In addition to Elder Ardern, Elder David A. Bednar and Elder L. Tom Perry also spoke about the way we use our time. 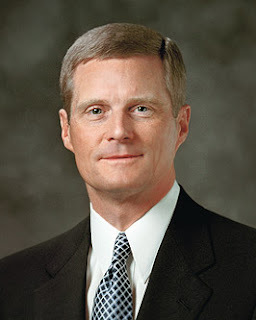 Elder Bednar encouraged the youth to become more involved in family history work and "FamilySearch indexing" (you can learn more about FamilySearch indexing at https://familysearch.org/volunteer/indexing). He said, "It is no coincidence that FamilySearch and other tools have come forth at a time when young people are so familiar with a wide range of information and communication technologies. Your fingers have been trained to text and tweet to accelerate and advance the work of the Lord—not just to communicate quickly with your friends. The skills and aptitude evident among many young people today are a preparation to contribute to the work of salvation" ("The Hearts of the Children Shall Turn", Elder David A. Bednar). Elder David A. Bednar. Stud, educator, apostle. 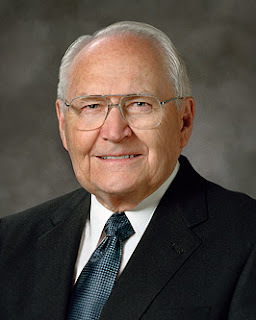 Similarly, Elder Perry said, " As you utilize the Internet, you may come across ongoing conversations about the Church. When directed by the Spirit, do not hesitate to add your voice to these conversations....In speaking about the Church, we do not try to make it sound better than it is. We do not need to put a spin on our message. We need to communicate the message honestly and directly. If we will open communication channels, the message of the restored gospel of Jesus Christ will prove itself to those who are prepared to receive it" ("Perfect Love Casteth Out Fear", Elder L. Tom Perry). Elder L. Tom Perry. I once ran into him in the underground parking lot between the Joseph Smith Building and the Church Administration Building in Salt Lake City. He was walking with his wife, and he wore a cheerful red sweater. In addition to being a Prophet of God and the President of the Church, President Monson is also a hilarious orator. I found myself laughing out loud during every one of President Monson's talks. He has such a great sense of humor. He makes great facial expressions and understands comedic timing. For example, when he announced the new temples that were going to be built, he said, "I am also pleased to announce new temples in the following locations: Barranquilla, Colombia; Durban, South Africa; Kinshasa in the Democratic Republic of the Congo; and Star Valley, Wyoming. I think I'll dedicate that one. There's good fishing up there" ("As We Meet Again", President Thomas S. Monson). 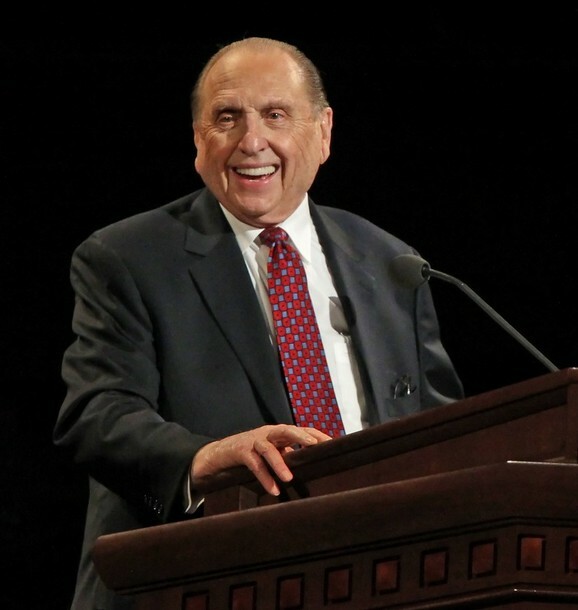 I can't help but smile when President Monson tells a joke. Talking about his time in the United States Armed Forces during World War II, President Monson said, "Navy boot camp was not an easy experience for me, nor for anyone who endured it. For the first three weeks I was convinced my life was in jeopardy. The navy wasn’t trying to train me; it was trying to kill me" ("Dare to Stand Alone", President Thomas S. Monson). In the same talk, he told a story about when he was on a sightseeing tour. "Following the conclusion of the convention, I took a sightseeing bus ride through the city’s suburbs. As we passed the various churches, our driver would comment, 'On the left you see the Methodist church' or 'There on the right is the Catholic cathedral. 'As we passed a beautiful red brick building situated upon a hill, the driver exclaimed, 'That building is where the Mormons meet.' A lady in the rear of the bus called out, 'Driver, can you tell us something more about the Mormons?' The driver pulled the bus over to the side of the road, turned around in his seat, and replied, 'Lady, all I know about the Mormons is that they meet in that red brick building. Is there anyone on this bus who knows anything more about the Mormons?'" ("Dare to Stand Alone", President Thomas S. Monson). In another talk, President Monson started with, "We’re particularly delighted to have Elder Robert D. Hales with us once again and feeling improved. We love you, Bob" ("Stand in Holy Places", President Thomas S. Monson). Elder Hales has been sick this year and unable to attend meetings or General Conference. However, he was able to attend this particular Conference. And last but not least, I loved President Monson's story about a Dutch member of the Church named Peter Mourik. He said, "On Saturday we had a session for our Dutch members who were in the Frankfurt Temple district. I was well acquainted with one of our outstanding leaders from the Netherlands, Brother Peter Mourik. Just prior to the session, I had the distinct impression that Brother Mourik should be called upon to speak to his fellow Dutch members during the session and that, in fact, he should be the first speaker. 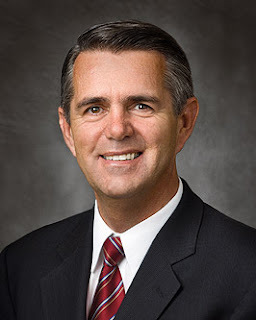 Not having seen him in the temple that morning, I passed a note to Elder Carlos E. Asay, our Area President, asking whether Peter Mourik was in attendance at the session. Just prior to standing up to begin the session, I received a note back from Elder Asay indicating that Brother Mourik was actually not in attendance, that he was involved elsewhere, and that he was planning to attend the dedicatory session in the temple the following day with the servicemen stakes. As I stood at the pulpit to welcome the people and to outline the program, I received unmistakable inspiration once again that I was to announce Peter Mourik as the first speaker. This was counter to all my instincts, for I had just heard from Elder Asay that Brother Mourik was definitely not in the temple. Trusting in the inspiration, however, I announced the choir presentation and the prayer and then indicated that our first speaker would be Brother Peter Mourik. As I returned to my seat, I glanced toward Elder Asay; I saw on his face a look of alarm. He later told me that when I had announced Brother Mourik as the first speaker, he couldn’t believe his ears. He said he knew that I had received his note and that I indeed had read it, and he couldn’t fathom why I would then announce Brother Mourik as a speaker, knowing he wasn’t anywhere in the temple." ("Stand in Holy Places", President Thomas S. Monson). The best part of the story is that Peter Mourik actually showed up right when President Monson announced his name. While in his other meeting, Peter Mourik felt a prompting from the Holy Ghost to leave his other meeting and hurry the Frankfurt Temple dedication. Elder Jeffrey R. Holland is probably my favorite speaker of all-time. 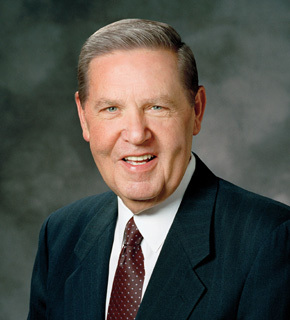 If you ever want to feel inspired, go to http://speeches.byu.edu/ and read some of the talks that Elder Holland has given at BYU. He is an amazing speaker. At General Conference, he spoke during the evening Priesthood Session. I loved the following words from his talk: "I especially ask the young men of the Aaronic Priesthood to sit up and take notice. For you, let me mix in an athletic analogy. This is a life-and-death contest we are in, young men, so I am going to get in your face a little, nose to nose, with just enough fire in my voice to singe your eyebrows a little—the way coaches do when the game is close and victory means everything. And with the game on the line, what this coach is telling you is that to play in this match, some of you have to be more morally clean than you now are. In this battle between good and evil, you cannot play for the adversary whenever temptation comes along and then expect to suit up for the Savior at temple and mission time as if nothing has happened. That, my young friends, you cannot do. God will not be mocked...From every man, young and old, who bears the priesthood, I ask for a stronger and more devoted voice, a voice not only against evil and him who is the personification of it, but a voice for good, a voice for the gospel, a voice for God. Brethren of all ages, unbind your tongues and watch your words work wonders in the lives of those “who are only kept from the truth because they know not where to find it" ("We Are All Enlisted," Elder Jeffrey R. Holland). My all-time favorite speaker, Elder Jeffrey R. Holland. I also think he has the best chin out of all the apostles. I'm definitely looking forward to the next General Conference in April 2012. It's great to be a Mormon!